This was one of the songs performed by Seira Singing Group last April when I went to their concert. I do verily like Scarborough Fair. ANYWHO, this weekend, the museums will have free entry for Singaporeans and Permanent Residents. Free admissions will be provided to Citizens and Permanent Residents (PRs) all year round to the permanent galleries displaying our national collection and selected special exhibitions at the National Museums and Heritage Institutions, to encourage more citizens and PRs to visit our National Museums and Heritage Institutions. Free admissions will be officially launched on 18 May 2013, in conjunction with NHB’s Children’s Season 2013, as well as International Museum Day, in the following National Museums and Heritage Institutions. There’s fine print that says while it’s all free sometimes they might bring in special exhibits and entry fees might be included to help cover costs and maintenance for the really special ones. Come join us for a summer of fun at Velocity and win attractive top cash prizes! Roll on a human-sized hamster wheel, score a coconut, battle with water guns, Surf, Stretch and Splash! 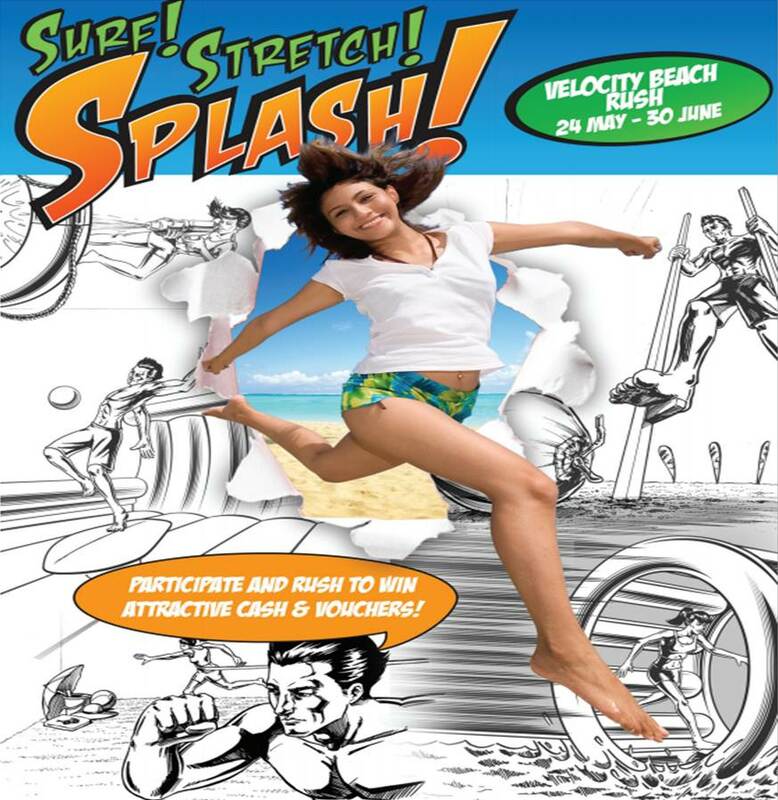 Velocity Beach Rush is a 5-station beach obstacle course for play and challenges. We have 4 categories for participants across all age groups and gender, so bring down your friends and family to challenge yourself at the Velocity Beach Rush and stand to win over $8,000 of cash and prizes! Just go to the mall’s info counter to register and pay. More details on Velocity’s website under ‘events’. I’m most interested in the hamster run. You have to climb 2 metres and then jump onto the wheel and run in it to the end. OH WAIT. I MIGHT BE BUSY ON THE FIRST. Ok, I shall go email the organizers to ask about their second day for individuals since I usually have exercise training in the morning for Sundays. We’ll see what happens if I get to join it then. I do still like the last time I entered.